Score Great return on passing out cards at repair shops! - Great return on passing out cards at repair shops! Hi all! Got a great return from passing out cards at repair shops and offering a fair price list. The guy was on a new-girlfriend-imposed-deadline to clear out his backyard at home so have now done three truckloads more or less like the one below and doing another yet this week. Some of the other loads included boxes of motherboards, finger cards, hard drives and around 50 laptops. The lessons for me is, while I love my craigslist free section scores, putting in the work to drive around somewhat aimlessly and stopping at every computer and phone repair shop (most are not on maps apps and many not in the phone book) leads to consistent supplies. I've got three shops as repeat clients now and others that I've picked up just once so far. 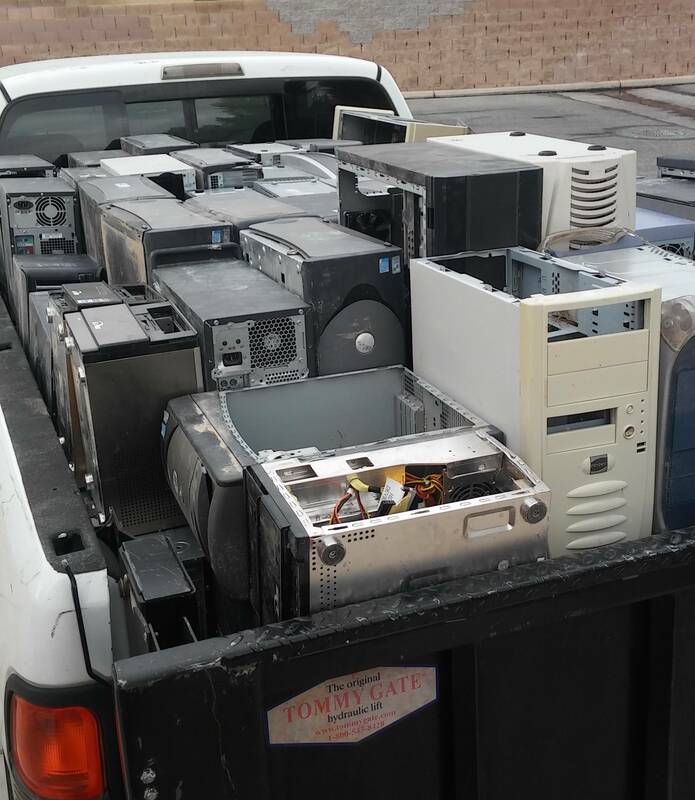 I'm also lucky to be doing this work in Las Vegas where fair e-waste prices are locally non-existent so fair prices are not only good ethically, but very successful. The loads from this one amount to roughly 5000lbs so far. Nice haul! I'm jealous. I don't get too many hauls like that in my small town. Those desktops are easy money all day long. Good job. This is a bad question and one that has been answered many times possibly but what are you getting per tower. I disassemble them so it varies quite a bit depending on how many sticks of RAM, how many finger cards, the kind of mobo and more. This is exactly right. Pass out cards to anyone who will take one. Cold call, do whatcha gotta do to get business. (as long as its ethical and moral). I 3 weeks ago stepped into what I consider the big boys arena. I landed a agreement with a large school district. They want me up there 2-3 times a year. The first pick up was 125 desktops, around 75-100 laptops, 5 gaylords of misc items, 150lbs of batteries, 200 LCD monitors. It was a awesome haul for zero money invested. I made a agreement and letter of certification that the HDDs would be zeroed out and that nothing would go into landfills. Will be a $2500-3500 score all done. Nice score on that contact! Most definitely! Never be afraid to ask. And NEVER get picky on whats in the boxes. The large company who was taking the items began to get picky with them. They don’t have time to list everything itemized, so they didn’t want to deal with them anymore. Im a graduate from the school as well. What do you call fair pricing? I wouldn’t know what to offer for this load. Will be a $2500-3500 score all done. 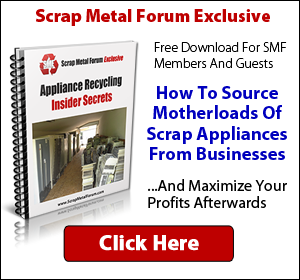 Were the towers scrap only value? I just had a school pickup for 160 towers and found a buyer that wanted them at $95 a piece, was a $13k payday. All I had to do was pallet them and tell them to arrange a truck to come by. Edit, i know that math should add up to like $15k, around 20-30 were older towers that didnt get the $95 payout but still got around $30, much better than scrap value. Yeah these were scrap only. Beyond their age, they had been stored outside in the vegas heat and dust (and occasional rain) so would've been wary of reselling them. Plus guy is a repair tech so useful ram or other parts were already gone. And the guy is still a client! Just talked to him yesterday morning about arranging a next pickup (for the company I work for now rather than myself lol, but the point holds about a good contact). Congrats on your score! I hear many people talk about getting contracts from schools and colleges. I guess things are different where I live. I service phone systems in many schools, colleges and state offices and they have to surplus everything. All of it is auctioned off on govdeals.com. I can't even get old battery backups that I know are going in the dumpster. Up here everything gets thrown in a pile and auctioned off whenever the storage room gets full ( 5 - 10 years ). In one case, all the stuff Punxy school district had laying around was sold off when the old Punxsutawney Elementary was closed.